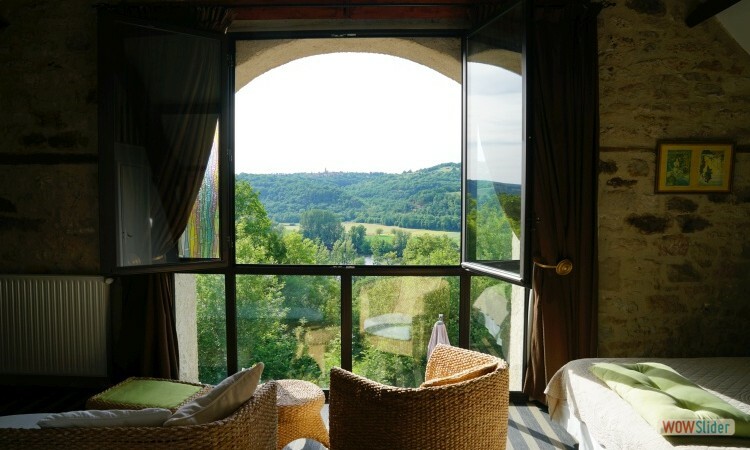 This 3-star hotel bordering Figeac with magnificent views of the Lot valley was once a farm and is situated in a private woodland park of 7 hectares. 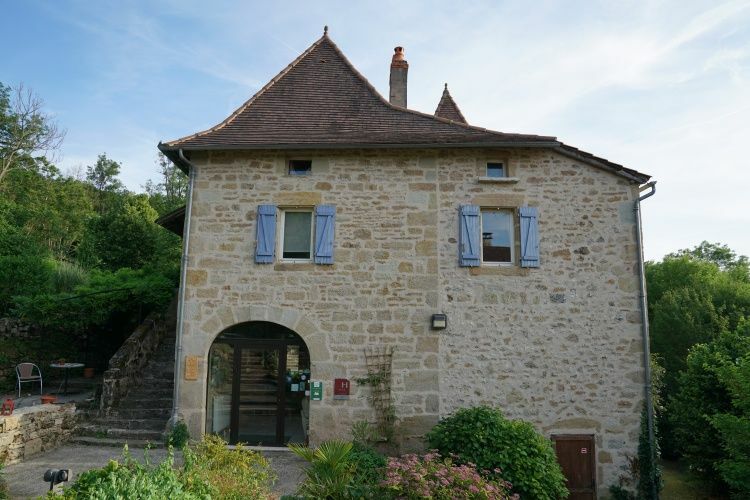 The hotel rooms and self-catering gite are in 3 separate buildings made of traditional Quercy stone. At the entrance to the restaurant is the Mulberry tree which is at least 250 years old, and which the hotel is named after. From the restaurant terrace you have a panoramic view of the Lot Valley. The banks of the river Lot can be reached by following a 12th century path. Each of the hotel’s seven bedrooms has its own individual character. All the rooms have been tastefully decorated and each has an en-suite bathroom, a television and an individual telephone line. Having just seven bedrooms, the hotel is also an ideal venue for small weddings and other private functions. 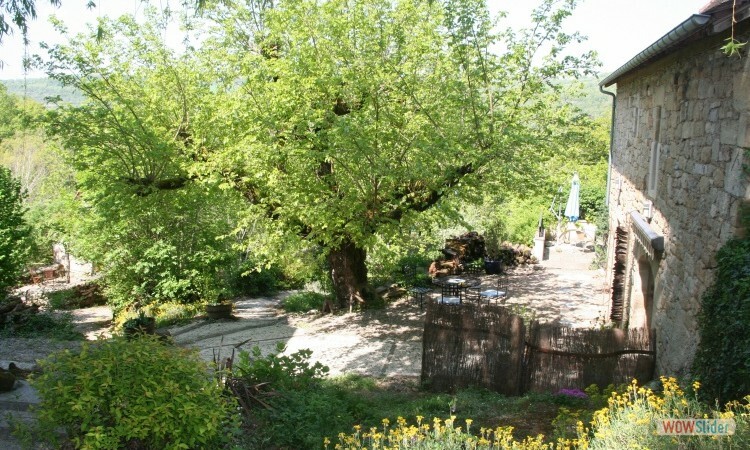 The hotel is well situated for exploring both the Lot and Aveyron departments. In the surrounding area are the historic towns of Figeac, Rocamadour, Capdenac Le Haut, Belcastel, St. Cirq Lapopie, Conques and Najac all of which have been classified as some of ‘France’s prettiest villages’. At the hotel you can use the swimming pool or take a look at some of the other activities you can do in the area. International guests can reach us by air from Rodez airport (1 hour away) and Toulouse from where you can get a connecting train to Figeac or Capdenac Gare and then a taxi from the train station. From Limoges and Bergerac airports (2 hours away) you can rent a car. Otherwise we are 560kms from Paris and well connected to a number of autoroutes.